We've all been there. He doesn't understand what she's really upset about. He thinks she blows things out of proportion. Neither of you can agree on the right course of action. In every marriage, there is conflict. And with every conflict, there is a choice for resolution. Will you ignore the issue until it seemingly goes away? Or will you work together to find peace? 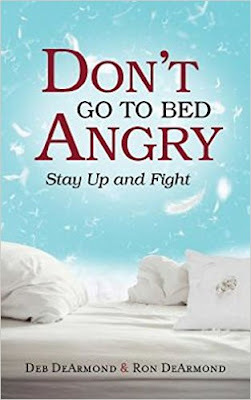 Don’t Go to Bed Angry: Stay up and Fight is packed full of practical wisdom to help you 1) learn how to fight fair & 2) recognize who the enemy is(& isn't) in your relationship. The most important aspect of this book is how it points you individually and as a couple to Jesus and shows you how to make a plan for your marriage with HIM at the wheel. 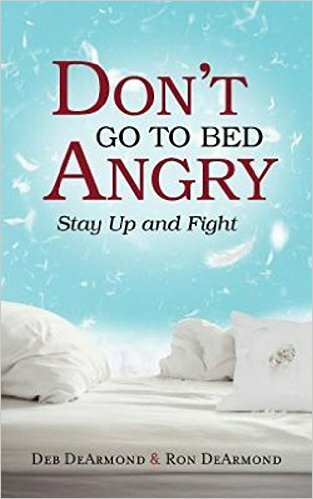 This book is a must-have for any newly-marrieds, those who have been married for awhile and even though who are having a rocky time in their marriage and aren't sure they even want to STAY married. 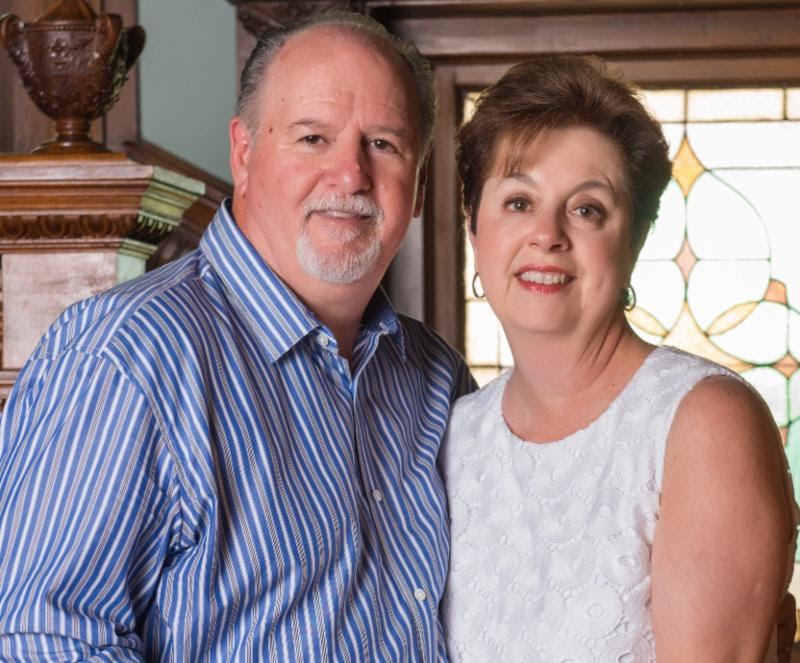 Just know that THERE IS HOPE, and Deb & Ron DeArmond help you fight for it. Each chapter includes, easy to understand information and effective guidance, plus insight from surveys the authors conducted and from conversations they had with couples who willingly shared their experiences with Deb & Ron. All of the chapters end with a section called “Put on the Gloves” which have questions to complete on your own and then talk about together as a couple, as well as a prayer for you to pray together. Deb DeArmond is an author, speaker, and coach with a focus on communication, relationships, and conflict resolution. Her writing explores marriage, parenting, in-law and extended family relationships. She is the author of Related By Chance, Family By Choice and I Choose You Today: 31 Choices to Make Love Last. Deb is the founder of Living-Write, where she coaches aspiring authors. She's monthly columnist and feature writer for Lifeway's Mature Living Magazine, and has published more than 120 articles online and in print publications. Ron DeArmond has a hungry heart for the Word, and has studied the Bible for 45+ years. Ron's call to serve men is evident in his previous ministry positions with Christian Men's Network under Dr. Edwin Lewis Cole and Faithful Men Ministry. Ron is currently the Associate Pastor of men's ministry at Catch the Fire/ DFW and has ministered around the world. The DeArmonds live in the Dallas/Fort Worth area. Website | Facebook | Twitter | Pinterest .